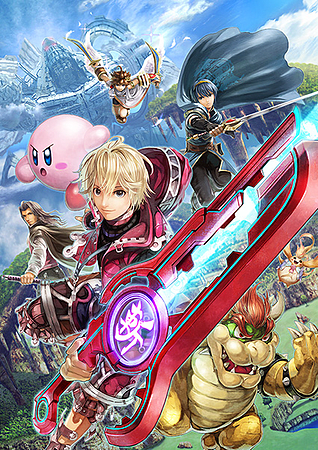 Shulk, hero in Xenoblades Chronicles makes his Smash Bros debut. Shulk can change his specialisation during battle thanks to his Monado Arts, meaning his attack or jump stats will increase, but as a result something else may fall. Shulk uses his unique sword with great effect especially for his special, the Air Slash! Amiibo figures will give you a brand new experience on selected Nintendo games on Wii U and, in 2015, 3DS. With Super Smash Bros on Wii U the first compatible game, prepare to take to the battleground with your Amiibo characters! As you play Super Smash Bros, your Amiibo character will grow and evolve, developing their attack and defence stats and even learn a few new fighting tactics along the way!